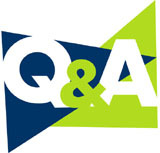 Medspa Q&A: Legal: Can a non-physician employ a physician? This question pops up regularly so I'll bring it over here and answer it. ELH, Thanks for the question. Here's the answer. Answer: A non-physician can not employ a physician OR own a medical practice that employs a physician OR partner in a medical practice with a physician. Only physicians can employ or partner directly with other physicians. Most of the generally accepted principals of business do not apply for one simple reason; You, as a non-physician, man not be involved in the practice of medicine in any way. Sure, hospitals and HMO's employ physicians but they have lobbyists in Washington, you do not. This is an absolute so I'll state it again, non-physicians can not employ physicians as employees. There are no exceptions (no matter what a medspa franchise might say.) Read the WSJ article on unhappy medspa owners here. Clarification: That non-physicians can not employ physicians is an absolute rule. However, there are ways in which non-physicians can do business with physicians but they require a careful legal setup that doesn't violate the law. Example 1: You have a spa with a visiting physician who comes in and performs Botox and Restylane. You 1099 them at the end of the year as an independent contractor. WRONG: You can not do this as you would be employing a physician. Example 2: You have a spa and a physician solicits you to allow them to come in and treat your clients. The physician and you plan to split the revenue. WRONG: This would put you in a partnership with the physician as well as potential trouble for splitting fees. Big, big, trouble. Additional: In situations where a medical spa is set up incorrectly, the physician will be at risk. Every malpractice policy will be voided if a physician is practicing outside of the law, which this is. A physician who gets in trouble in a situation like this will be completely on her own and my best guess is that the prosecuting party will be happily pointing this out in court... not a good place to be. The non-physician will be at risk as well. A physician can shut down your business at any time by refusing to extend their oversight to any medical treatments. The state could also be a problem since if it's found that you own a 'medical' business, you'll be shut down by the state tute suite. You should be very wary about how you state what you own. While I've used examples of what you may not do, I've stayed away purposefully from exactly how you can legally set this up since I don't want to give advice that someone might follow and get themselves in trouble. Consult a lawyer who specializes in this area of medicine.